While conducting research last week at U of M’s library in Ann Arbor, I was very excited about all the agate genesis articles I was able to locate. I concentrated mostly on articles published in the last decade. However, I could not resist the temptation to print off a 66-page leaflet published by the Field Museum of Natural History in Chicago in 1927. The leaflet was written by Oliver C. Farrington, the Curator of Geology and is entitled: “Agate Physical Properties and Origin.” It is amazing that in the last 80 years, our knowledge of agates has not changed very much. Below are some excerpts from the leaflet. 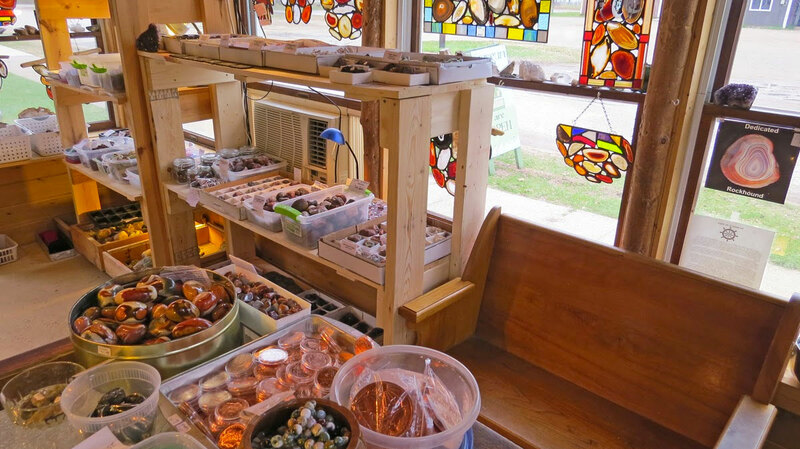 …”No one who gives much consideration to the subject of agates, can fail to be impressed with the difficulty of explaining how they are formed. They appear to be made up of successive layers deposited on the walls of the interiors of cavities, each layer toward the interior being younger than the one preceding. Sometimes the process of deposition appears to have continued until the cavity was entirely filled, but in other cases, a vacancy still remains at the center. If the above is the method of formation, it is difficult to understand why the deposition of the first layer, or, at least of the first two or three layers, would not close the cavity to succeeding deposits. …”It is only recently that a theory for the formation of agates has been proposed which gives a totally different explanation from the above and which is in many respects more satisfactory than the earlier views. According to the latter theory, the rock cavity in which the agate is formed, first becomes more or less filled with silica in a colloidal (jelly-like) condition. In such a colloid a banded structure can be produced by processes, which can be illustrated with ordinary gelatin.